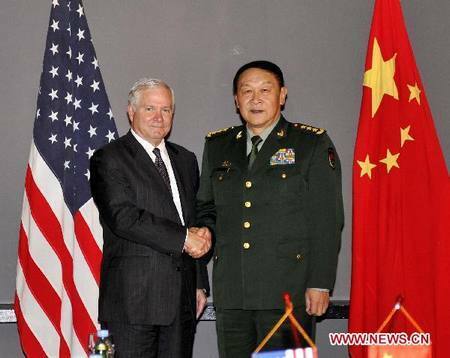 Secretary of Defense Robert Gates will travel to China on Sunday, January 9, for three days of meetings with Chinese military and political leaders. He is expected to discuss the ongoing crisis on the Korean peninsula, regional territorial disputes, and China’s military modernization program in advance of President Hu Jintao’s visit to the United States later this month. He also will try to restart a long-stalled dialog on strategic stability between U.S. and Chinese nuclear and space weapons programs. Historians eventually may regard Gates as one of the most effective defense secretaries in U.S. history, but his failure to date to engage a rising China may tarnish his legacy. Next week’s trip to China is likely to be his last official one, so it likely will be his last chance to influence the course of what may prove to be the most important bilateral security relationship of the 21st century. Military tension between China and the United States increased significantly over the last two years. Efforts by President Obama and his advisers to respond to the concerns of allies and reassert U.S. influence in the region included injecting the U.S. military into long-dormant territorial disputes over islands in the waters on China’s periphery. These actions led some Chinese officials to believe that the United States’ goal is to contain China. Likewise, the Obama administration’s embrace of India, despite that country’s stubborn refusal to join the Nuclear Non-Proliferation Treaty, leaves some Chinese leaders wondering whether President Obama is more interested in cultivating another powerful ally on China’s border than he is in containing the threat of nuclear weapons. Both President Obama and Secretary Gates would like to engage China in a meaningful dialog on strategic security issues, but North Korea keeps getting in the way. Goaded by North Korean provocations and the fears expressed by Japan and South Korea, the Obama administration has relied heavily on joint regional military exercises, which have angered the Chinese public and undermined the administration’s attempt to engage the Chinese leadership. The official rhetoric on both sides still remains cordial and positive, but the military and security policies of both nations are reinforcing mutual suspicions that could lead to a new Cold War. Continued Chinese economic and technological progress is reflected in the growth of its military capabilities. The Bush administration’s strategy of attempting to “dissuade” China from keeping pace with advances in U.S. military technology failed. China is demonstrating it will take what steps it deems necessary to confront the United States militarily. China recently completed a major reshuffle of its military, placing a new generation of better educated and more cosmopolitan officers in line to succeed its current leadership. While many will judge Secretary Gates’ visit based on his ability to make progress on the crises of the moment, the real measure of his success or failure will be his ability to jumpstart a dialog with China’s emerging new leaders on the long-term strategic security dilemma facing both countries.